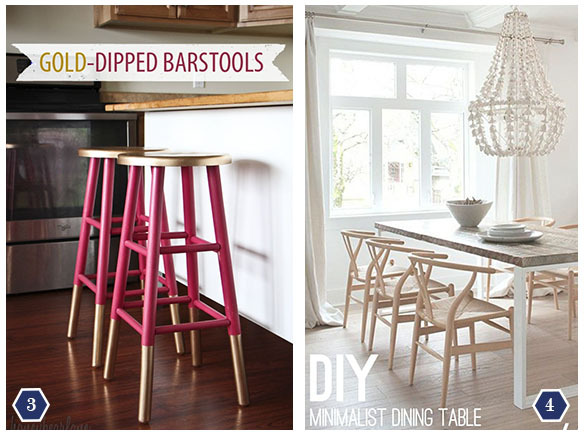 This DIY Decor Round-up is packed with unique projects to beautify your home! I’d love to hear which one of these would you’d like to give a try? I’m really loving the Copper & Wood Hanging Light (#1) and the Straw Hat Wall Clock (#8), but honestly they all look worth a try. 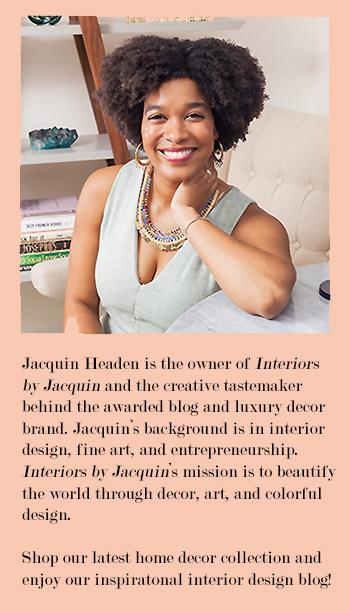 Nothing like a little do-it-yourself “eye candy” to get you inspired! 2. 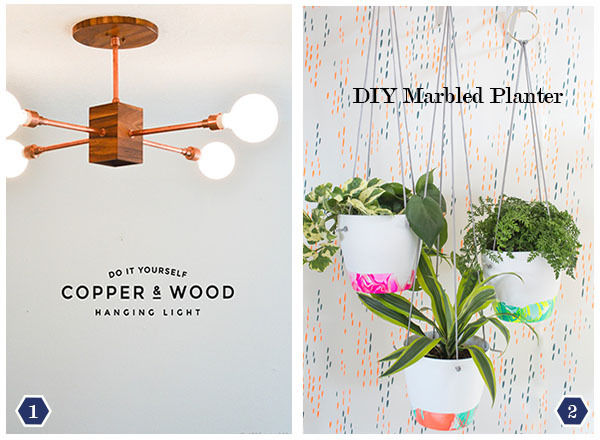 Marbled Hanging Planter – Oh Joy! 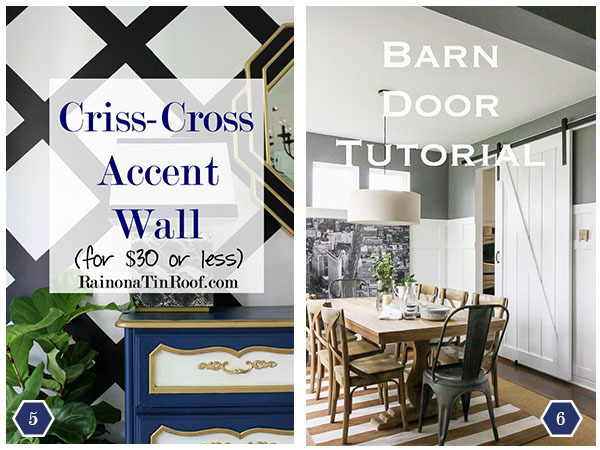 Which of these DIY projects are you most excited about?